Check out the Winter Fun Pass for a weekends worth of fun at Destiny USA. Take the kids through an escape room, test your bravery in an indoor suspended ropes course or check out what&apos;s going on inside Wonder Works. The Winter Fun Pass also includes coupons to other area attractions for a deal you can&apos;t pass up. We are lucky to be in close proximity to many county parks that have calendars jam packed with activities for the whole family. Try out snowshoeing at Beaver Lake Nature Center or search for critters on a nature walk at Baltimore Woods Nature Center. This is the perfect opportunity to get the kids outside even in the colder months. Buy a ticket to the The MOST for a day so fun that your kids won&apos;t even notice they&apos;re learning. Catch a show in IMAX, learn about fossils and geography or star gaze in the planetarium. We promise they won&apos;t want to leave to Toothpick World where toothpicks meet famous architecture. The Rosamond Gifford Zoo gives you the option to visit with animals indoors or step outside to see those that thrive in the cold climate. Highlights include a tropical birds room, a wing of primates and an enclosure home to winter loving snow leopards. You won&apos;t be disappointed no matter what time of year you visit. 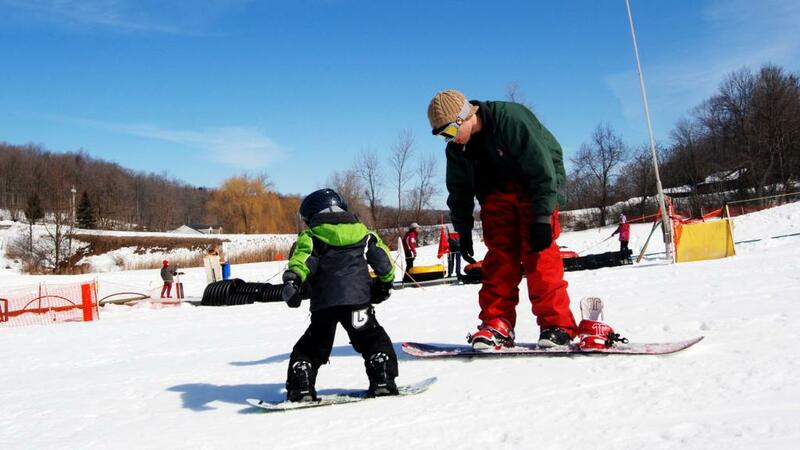 Check out Labrador Mountain, Song Mountain or Toggenburg Mountain for all your skiing and snowboarding needs. All of these mountains offer a variety of trails for all levels and lessons for those who are new to the sport. Not your speed? Take to Four Seasons Golf & Ski for a day full of tubing- and make sure to treat yourself to a cup of hot chocolate in the lodge after! Syracuse offers a variety of museums that cater to a variety of interests and ages. To learn some local history step on a canal boat replica at the Erie Canal Museum or check out the history of the county at the Onondaga Historical Association. If you have an art fan on your hands then the Everson Museum of Art is the place to be. Bring the family to the Exposition Center at the New York State Fairgrounds for Winter Fair 2019. This event will be home to a mini mid-way along with other classic fair activities. Also, don&apos;t forget to participate in Winterfest 2019 where Downtown Syracuse celebrates all the season has to offer with ice sculptures, special events and even a food sampling tour. For more family fun ideas check out our full events calendar here.